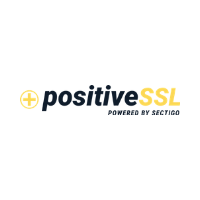 The PositiveSSL Wildcard certificate is issued by Sectigo. It is a great Domain Validated (DV) HTTPS certificate that offers the latest encryption with fast issuance. Secures unlimited subdomains and servers. Cover unlimited subdomains with just one SSL certificate. Issued in minutes. No waiting around for encryption. Great value. Easier than buying certificates for each subdomain.